New Zealand is known to the world for great scenic views as well as it is a beautiful and well settled island country situated in the south western Pacific Ocean. You need to get the good car rental service at New Zealand with us as we have our great tie ups with great brands present around the nation. It is good to choose from various locations such as the Dunedin Airport, the Queenstown Airport, Wellington Airport, Auckland Airport, Christchurch Airport, Rotorua Airport and Hamilton Airport. The country is known for its capital city Wellington where you can see Museum of New Zealand as well as the Old St Paul's Cathedral. You must take out good time for discovering the Southward Vintage Car Museum. In the city of Queenstown you can easily visit the Onsen Hot Pools, Queenstown Hill and Walter Peak High Country Farm. 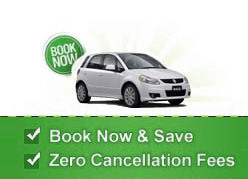 It is good to have our car hire service at New Zealand for affordable prices. The best idea is to visit the Taupo City for viewing Huka Falls, Orakei Korako Cave and Thermal Park, Aratiatia Rapids, and the Huka Prawn Park.